A healthy lifestyle is more than just going to the gym and eating your fruits and veggies. It’s about making a complete life change and incorporating healthy activities into your every day life in order to reach your health goals. Often, that means using your local surroundings because as we all know – the same old gym workout can get boring really fast. Many larger cities are incorporating ways to make life healthier for all those involved. 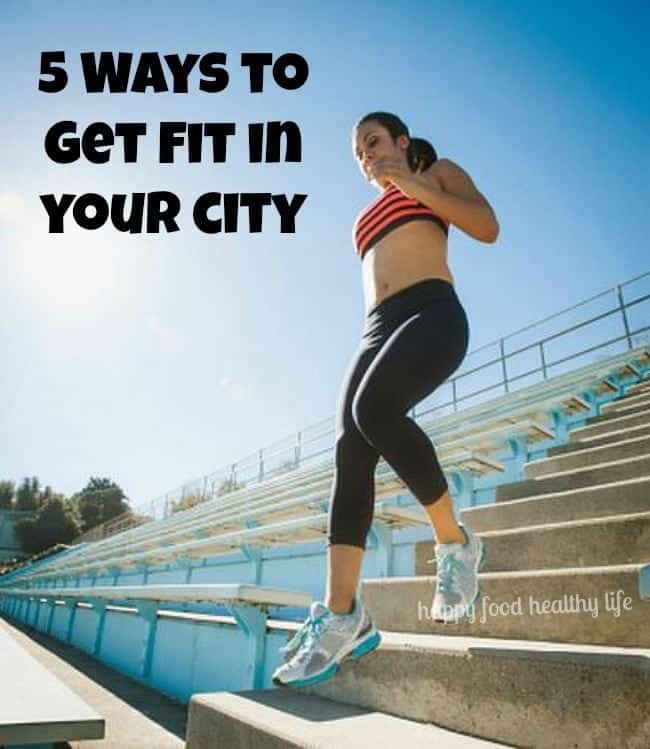 I thought I would highlight 5 of my favorite ways to get fit in my city. Hopefully that will help you get the wheels turning and consider seeking out healthy options in your own city. 1. BikeShare programs – In downtown Salt Lake City, there are various bicycle stations all over. You can use the bikes to get from one place to another downtown without worrying about the hassle of driving through traffic and getting your exercise in at the same time. Different cities have different rules, but for Salt Lake, you are able to take the bikes for 30 minute increments and then leave it at another BikeShare station for someone else to use. 2. Farmer’s Markets – We all love farmer’s markets in our cities and towns. The spring to fall months provide delicious organic and local produce, usually at a much better price than you would find at the grocery store. Plus walking around outside at the markets is another way to get a little bit of exercise. 3. Walking/Running/Bike Trails – I am lucky in the sense that Utah has an abundance of trails everywhere I turn. There’s a running & bike trail right behind my neighborhood that stretches for miles. Plus living so close to the mountains, there is plenty of hiking for all skill-levels. 4. Healthy Meet-up Groups – Do a quick little search on meetup.com or maybe there’s a Facebook group for your neighborhood. There you could find groups of people who get together for various healthy activities. Sports, running, etc. 5. Stadium Stairs – This one is a classic. All you need is a highschool football field. Something pretty much every town has, right? This is one of the best (and hardest) workouts you will get in your city. Running up and down those stairs will get your cardio and leg muscle-building in all at once. The key now is that you should start looking around your city to see what it has to offer for your healthy lifestyle. One of my favorite ways to track some of the healthy things I do in my life is with Walgreen’s Balance Rewards healthy choices program. Balance Rewards for healthy choices feature helps keep you accountable and makes living a healthy life easy by setting health goals, tracking progress, and connecting your devices. 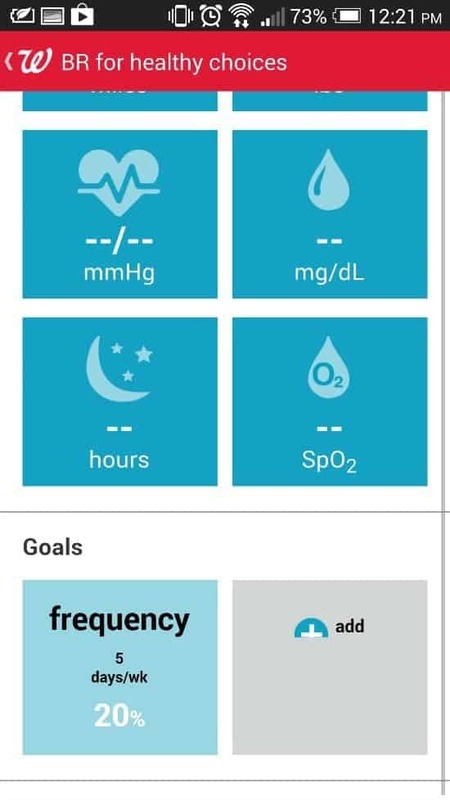 You can easily connect your fitbit, myfitnesspal, and plenty of other devices and apps to the healthy choices program in order to earn points. In the program, you can set health goals. For example, my goal is to be active 5 days a week. You can see here that today, I have reached 20% of my goal by working out today. 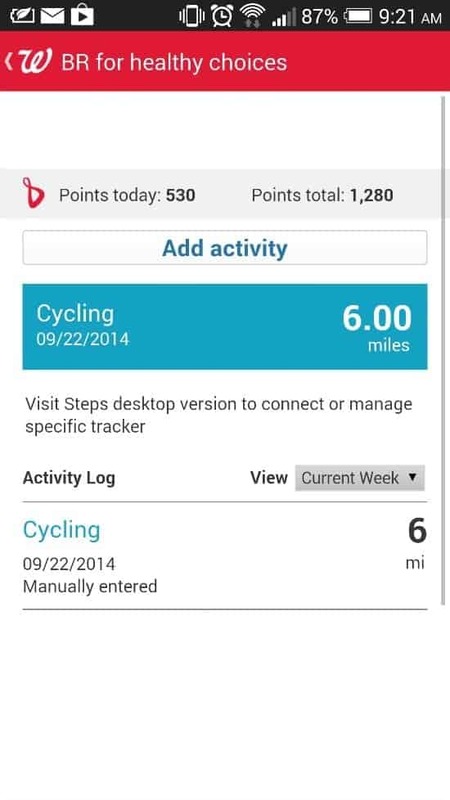 By entering your activity for the day, you can earn points. So far, I’ve earned a total of 1280 points since signing up with Balance Rewards. Every 5000 points gains you $5 that you can redeem at the checkout counter when you shop at Walgreens. Talk about free money just for staying healthy! I’m totally into that! I can’t wait to hear how you are getting fit in your city and also how you start racking up your points through Walgreen’s Balance Rewards healthy choices program. Here’s an awesome chart that shows you all the different ways you can earn points through the program. I’m seriously lucky to live in such a beautiful state and also to have the opportunity to get out and be active in all the elements! Great ideas! I like your suggestion to use meet up groups. I should really see if there is a running club in my new neighborhood! You really should! I know my neighborhood has created a Facebook group where all those things are organized. Maybe your neighborhood has one?